Pain in the front part of the foot can be the result of a number of conditions. Pain underneath, on the balls of the foot (metatarsalgia) can be caused by inflammatory conditions such as rheumatoid arthritis or psoriasis, overuse or transfer overload of the front of the foot due to bunions (hallux valgus) and arthritis. 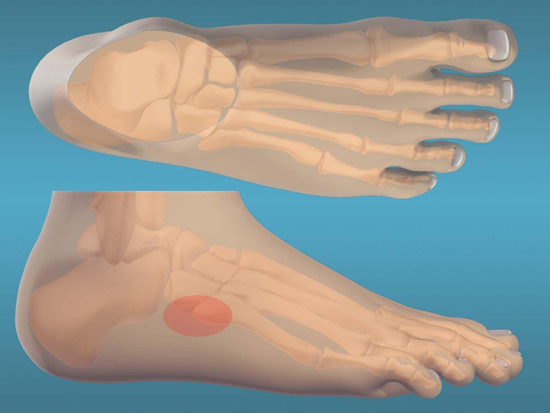 Pain in the forefoot along with altered sensation between the toes (especially 3rd and 4th) can be the result of a Morton's neuroma. Occasionally, pain in the forefoot can be due to a stress fracture of the metatarsal bone. 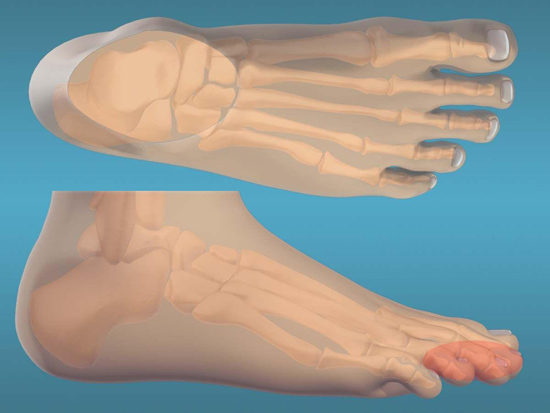 A bunionette (or Tailor's Bunion) describes a bony bump or prominence at the base of the little toe. 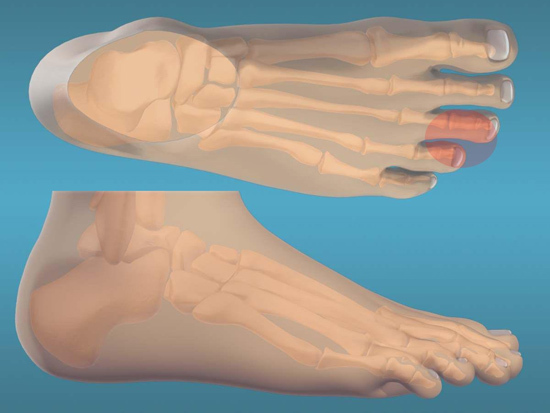 Like bunions of the big toe, the bunionette can cause pain through rubbing in shoes. 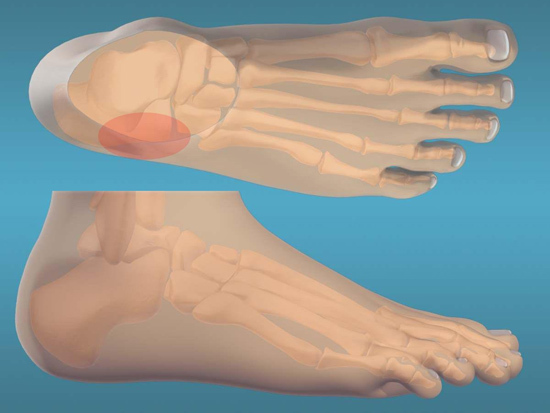 Treatment is not dissimilar to bunions, where appropriate shoewear can alleviate symptoms. Should non-operative symptoms fail, then surgery can be help with the deformity. Pain on the outside of the ankle is often caused by arthritis of the surrounding joints, tears of the ankle ligaments and more commonly a tear or inflammation of the peroneal tendons. The peroneal tendons are a pair of tendons who's role becomes very important after ankle sprains to provide stabilty to the ankle. Over time these tendons can wear out, especially if overworked and can cause pain and swelling.